I realize the Catholic Church has made many changes over the last year, but I didn’t see this one coming. First, our mass and hymns were retranslated. Recently, a new precedent was set, morally freeing future popes from serving until their death if they feel that they can’t properly lead due to age or health issues. But changing our Easter celebration to Valentine’s Day??? 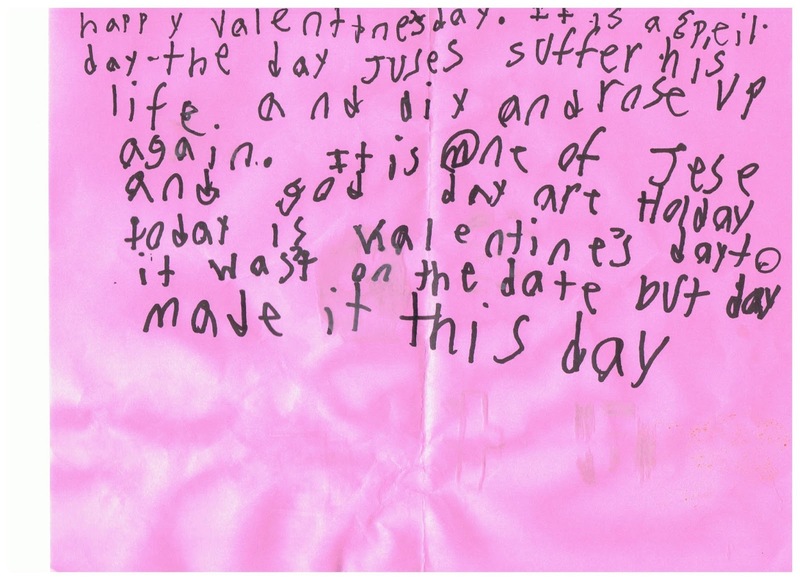 Katie recently attended a Valentine’s Day party at gymnastics. 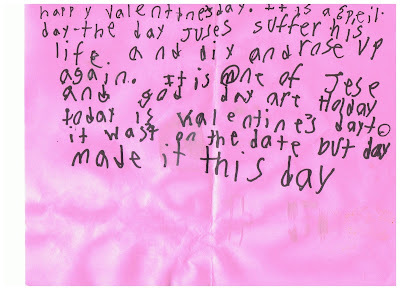 While other kids were crafting, she was busy writing a report about how special Valentine’s Day is. "Happy Valentine’s Day. It is a special day, the day Jesus suffered his life and died and rose up again. It is one of Jesus’s and God’s days. It has been suggested that I request a refund for her CCD classes.